The clever use of twenty-eight, low budget Raspberry Pi computers enabled event visitors to experience everything in their own language. When launching Quester to an audience from different countries, there is always a challenge to get the information across. By using inexpensive technology and smart solutions, we managed to overcome the language barriers and deliver a great experience for all visitors. Guests from eight different countries were present at the event. In addition to the unveiling of the truck, the event featured an exhibit where the guests were invited to explore more than 40 screens and tablets with digital content containing all there is to know about Quester. To get the information across, each guest received a RFID key fob that they then used to translate screen content into their own language. 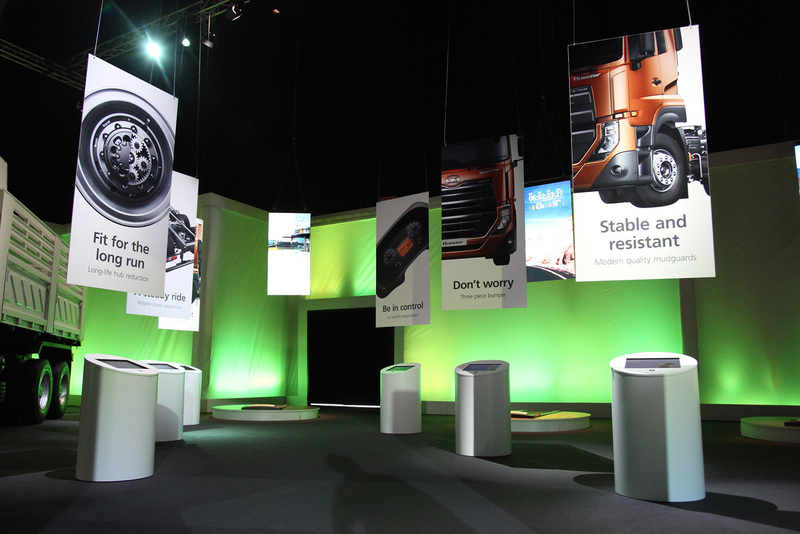 UD Trucks experts also used the screens for giving short talks on specific features and benefits. They activated the slideshow by holding up a pre programmed key fob to the screen enabling them to give their presentation in up to eight different languages. No matter how intriguing, engaging, state-of-the-art communication you create - it all falls flat if the person you are talking to doesn't speak the same language. During the launch of the all-new UD Trucks Quester range in Bangkok, people speaking up to eight different languages made it to the event. The RFID multi language displays enabled each and everyone to experience the event in their own language. Acquiring 28 computers and RFID readers could be very costly. In order to keep the costs down, we built a custom made RFID-reading display based on the Raspberry Pi - a $35 microcomputer originally intended to promote basic computer science in schools. At the global launch event, all the speakers used English, with simultaneous translation to six other languages, the default language of the exhibition being English. 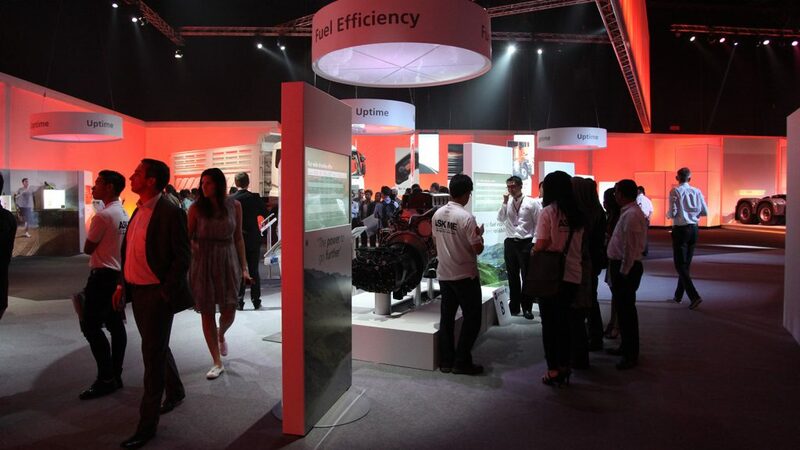 The following day, the UD Trucks Thai market team did its local launch using the exact same setup, translating all information to Thai. Since all the content already was displayed on the screens, it was very easy to switch over to Thai and create a locally adapted event. Every screen was powered by a Raspberry Pi microcomputer running custom built software based on the open source C++ creative coding system OpenFrameworks. Each computer was connected to an Arduino based 125KHz RFID reader linked via a converter shield. Each RFID key fob triggered a selected language. The main application started automatically when the computer booted up and showed content for the default language. Content could be both still images and movies. After a set timeout the screen automatically reverted to the default language. Since the computers where tightly integrated inside the exhibitions walls without access to a keyboard or mouse, we created specific key fobs for adjusting system settings such as screen rotation or default language. A separate tag registration application was created to simplify setup of the 1200 key fobs that needed to be registered.